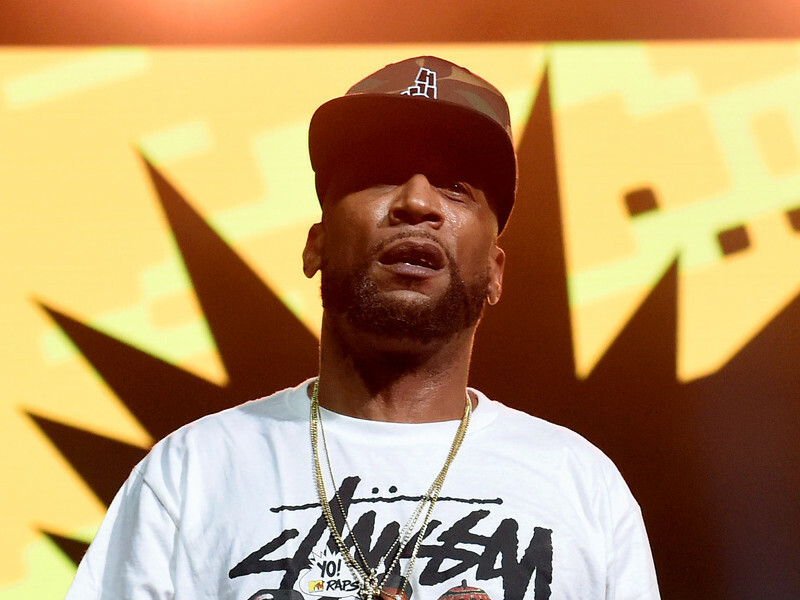 Lord Jamar Responds To Eminem: "I'm Disappointed In This Little Diss"
Eminem dissing Joe Budden and Machine Gun Kelly has dominated much of conversation about the Kamikaze album, but Slim Shady took shots at many other rappers on the LP. One of his targets, Lord Jamar, chimed in on being called out during an episode of the Brand Nubian member’s Yanadameen Godcast with Rah Digga. Jamar, who has often criticized Eminem in interviews and social media, revealed he was happy that “this muthafucka finally responded” and claimed “the gloves are off now” following Shady’s jabs on “Fall.” Rah questioned her co-host, asking if he could admit he had it coming. Although Jamar was glad he provoked Eminem, he wasn’t impressed by the actual diss. On “Fall,” Eminem also calls out Budden and Tyler The Creator by name. He takes Jamar to task in the third verse. “And far as Lord Jamar, you better leave me the hell alone/Or I’ll show you an Elvis clone/Walk up in this house you own, thrust my pelvic bone/Use your telephone and go fetch me the remote/Put my feet up and just make myself at home,” Eminem raps. Listen to Eminem’s “Fall” below.